STEM fun has never been so rewarding! Get pulley-ed into mechanical engineering! 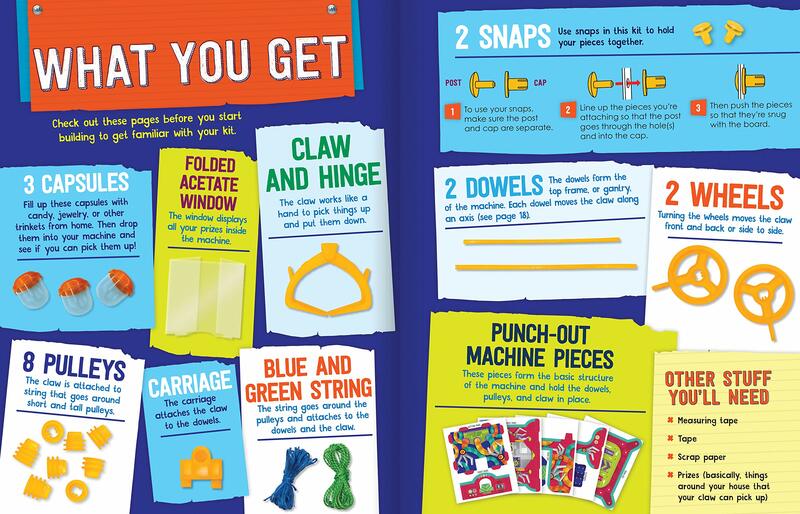 Construct your very own claw machine by building a frame, wrapping string around a pulley system, and attaching a claw. Then fill it with DIY prizes or items you have around the house! Learn all about the physics of pulleys and the real life applications of claws. 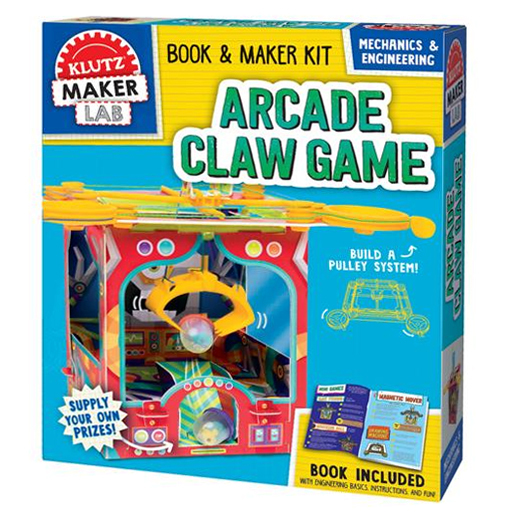 Additional activities in the included book will keep you experimenting to create fun twists on this arcade challenge, such as a magnetic mover and drawing tool. 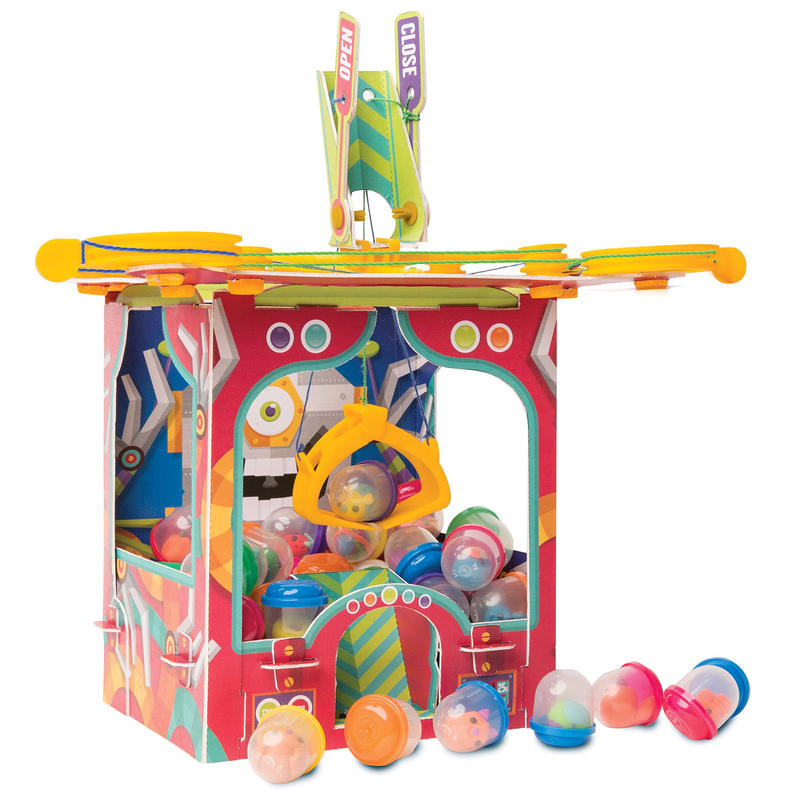 Comes With: 32-page book, chipboard parts, acetate windows, cotton string in 2 colors, 2 plastic dowels, 2 wheels, 2 tall pulleys, 6 short pulleys, carriage, claw, plastic snaps.